This Paddy’s Day marked 25 years since Fitzsimons first opened its doors in 1994! Over the years, a lot has changed, but the spirit remains the same and that is in huge part thanks to our amazing customers. Whether you’re a local who’s been coming in for years, or a tourist who’s stopped by for a once-in-a-lifetime Dublin experience, we couldn’t have done it without you! We are constantly working and scheming up new ways to cement our status as one of the best bars in Dublin with all of the hardworking staff who have joined us on this journey! Thank you all and we can’t wait to see what the future brings! 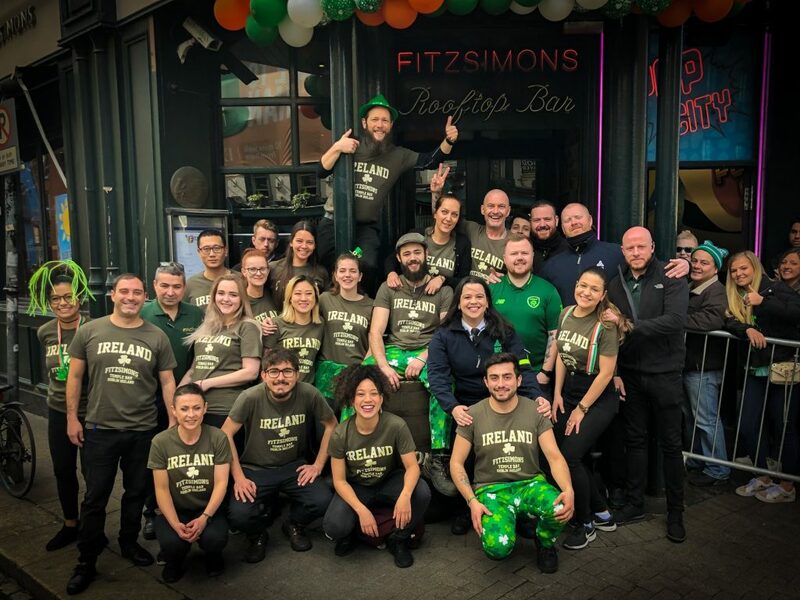 Happy Paddy’s Day from all of us at Fitzsimons of Temple Bar! Your Home for Six Nations 2019!